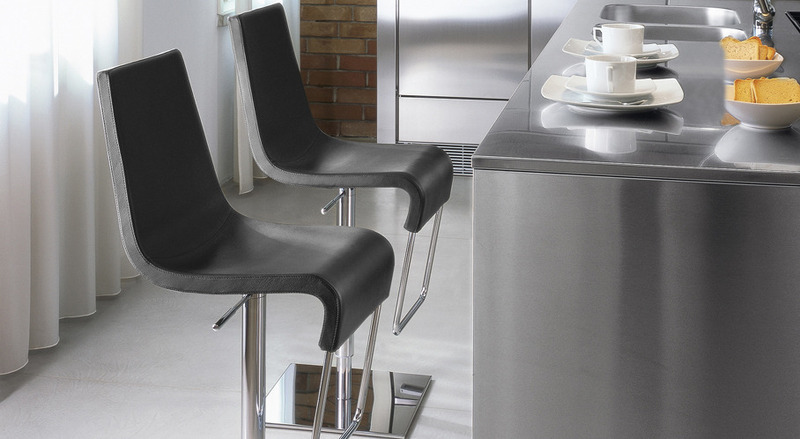 Skipping | Home Studio, Inc.
Skipping is a swivel stool with a height-adjustable seat with a gas piston, which is seamlessly incorporated into the chromed steel or satin finish chromed frame. With polyurethane padding. The upholstery is available in skay (eco-leather), leather or emery-leather.